Presto Home Inspection strives to provide prospective and current home owners with the personal comfort and satisfaction that comes from making a well-informed decision. Our goal is to provide clients with honest and thorough residential home inspection services and educate the client on how to maintain their investment for years to come. NSHI, National Society of Home Inspectors—As a member, Presto Home Inspection is dedicated to providing top quality service. All NSHI members must abide by strict guidelines and complete annual continuing education to ensure that you receive a quality home inspection. We are dedicated to upholding the Standards of Practice and Code of Ethics issued by NSHI. 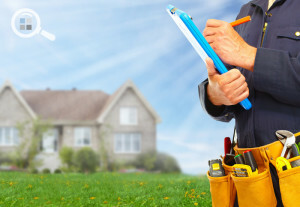 InterNACHI, International Association of Certified Home Inspectors—The International Association of Certified Home Inspectors (InterNACHI) promotes a high standard of professionalism, business ethics, and inspection procedures. InterNACHI members subscribe to following International Standards of Practice and a strict Code of Ethics in the course of their business.